Hours: 362 days per year. 10-5 and 1-5 on Sundays. 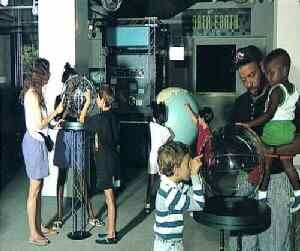 The museum is a science & technology center to further natural and physical science education. Hands-on and interactive. Tours and Special Events: news01@artcom.com first. 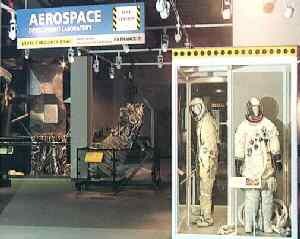 Explore life on the lunar lander with NASA artifacts and hands-on space and rocket propulsion exhibits. 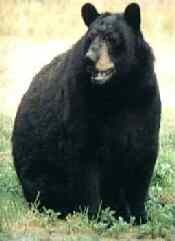 Black Bears roam their native landscape. The museum has a farmyard and red wolves (endangered species) too. with Data Earth or scientific lab. Walk through a 15-foot-high tornado and play in the clouds at the Weather exhibit. CEO: Dr. Thomas Krakauer , Director.